Did you know that Lichfield is one of the smallest cathedral cities in England! Lichfield cathedral is just one more place of worship in Britain. This imposing construction, with over 1.300 years of history ,is certainly the highlight of this gorgeous city located in Staffordshire, 16 kilometres north of Birmingham. As Lichfield is located just 15 minutes train ride from where I live, it's quite easy to spend an afternoon mooching around the town. But first things first, you just need one single day to make the most of Lichfield, so please, pick a day with nice weather. Going by train, car or bus, the first step would be the same: track downmarket street where I'd high recommend starting the day with a nice cup of coffee (or tea) at the Café at St Mary's Church. That's the kind of place where locals spend some time before (or after) doing their weekly grocery shopping. Quiet and cosy, this café has really nice variety of cakes and I just love the non-matching pattern china used for serving tea. Its souvenir shop, which is also an information centre, is a perfect stop to get the map of the town. You may think it's not necessary to have map of Lichfield, but it's fundamental if the idea is explore the heritage trail of this stunning small market town. And believe me, there're a lot of history behind those Tudor buildings. 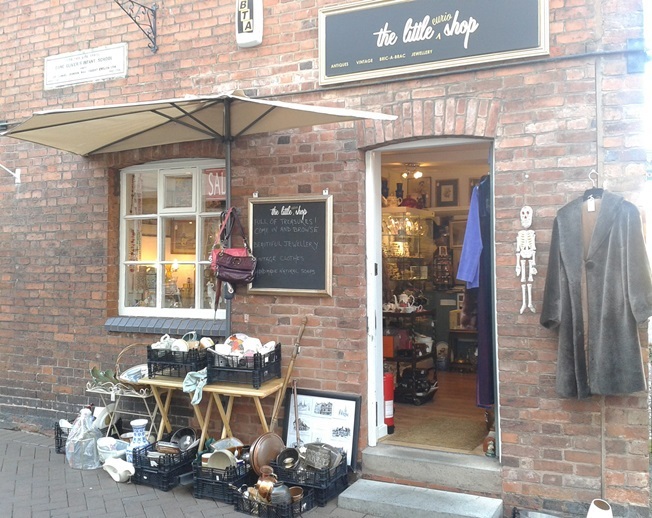 Lichfield has an interesting combination of high street shops and local businesses that work very well together, including cafés, charity shops, craft shops, boutiques, antiques shops and art galleries. I particularly love the Antique centre , a lovely Victorian building that presents various collectible items, from books to shabby chic. It's open seven days a week and the building itself is a picturesque site to visit. After the shopping fixing, visit the cathedral itself. There is quite a lot to see on it, so reserves a good time of your visit to explore it properly. Lichfield cathedral impresses visitors who want to know about the heritage of the city that was once considered the ecclesiastical centre of the Kingdom of Mercia (West Midlands) during the Anglo Saxon period. Its magnificent medieval construction is the only one with three spines in England. The impressive piece of architecture was gradually constructed and reformed over many centuries, having also been destructed partially during the Civil War in the 1640. 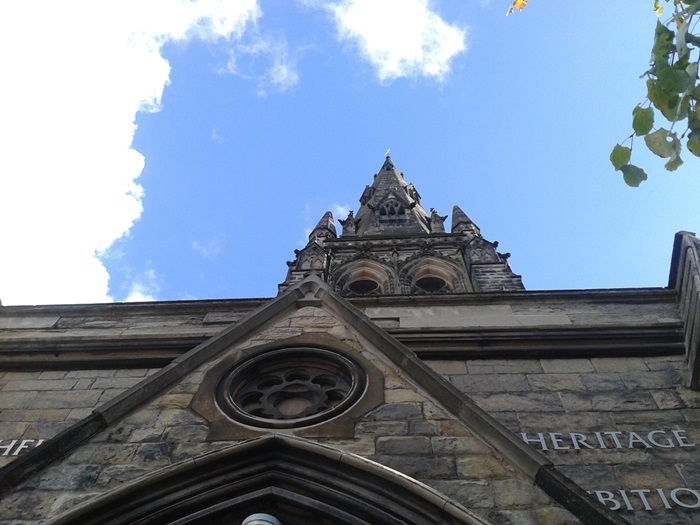 A tour to the cathedral tower is provided every Saturday and it's definitely a fascinating way of learning more about Lichfield itself. Near to the cathedral is another must-see heritage spot, the Darwin House . This fascinating Grade I listed building was residence of Erasmus Darwin, Charlie Darwin's grandfather. 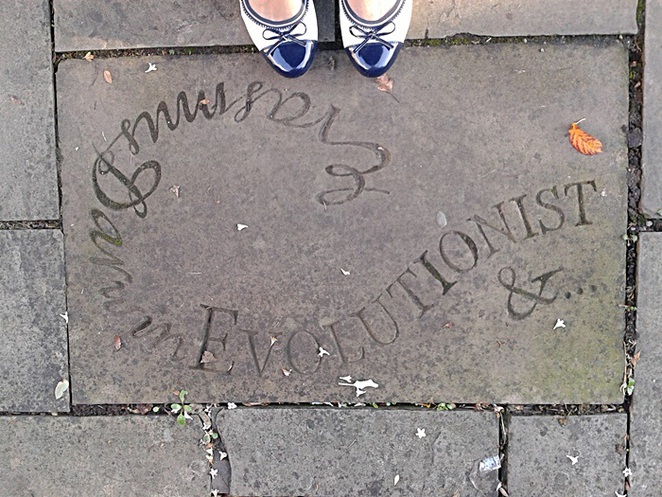 Erasmus was a scientist, doctor, inventor, poet, botanist and one of the minds behind the Lunar Society. The heritage of Lichfield is not only in its buildings and streets but also in public parks, such as Beacon Park with its beautiful gardens and curious statues that include one of the English naval Edward Smith, who was the captain of RMS Titanic. Also, enjoy a pleasant walk by Minster Pool to find out more about its Speakers' corner or simply to feed the ducks. Eating & drinking: I'd recommend The Tudor of Lichfield - the oldest serving coffee shop and restaurant in the city. It's placed in a Grade 2 listed building dating back to 1510 and offers comfy food and delicious cakes. There are also a range of restaurants, bars, pubs and cafés for all tastes in Lichfield. Love your article on Lichfield! It is one of my favourite places to spend a sunny summers day. Your pictures are very good, informative and very interesting.